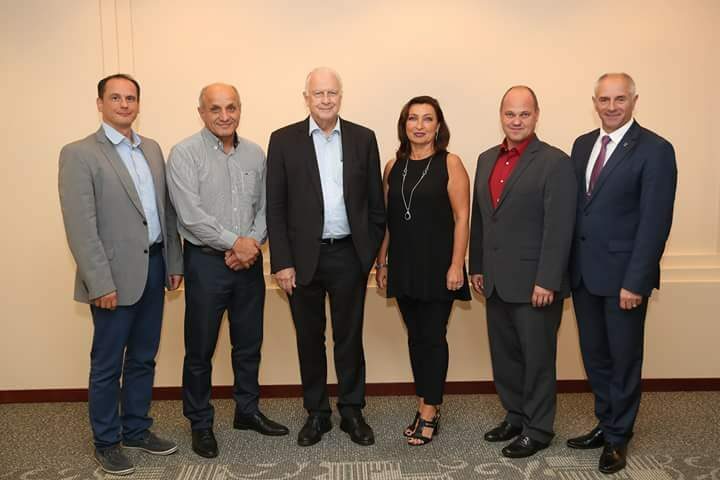 Inauguration of the Association of European National Olympic Academies under the aegis of the European Olympic Committees and the International Olympic Academy. The establishment of the European National Olympic Academies Association was successfully concluded in Ljubljana, Slovenia. 24 representatives of National Olympic Academies met at the Slovenian capital during the 4th Congress of the European National Olympic Academies in order to discuss the cultivation and propagation of Olympic Education in Europe as well as the role that the National Olympic Academies should play in the Olympic and sports movement worldwide. Consequently, the first Executive Board of the European National Olympic Academies Association was elected: Professor Manfred Lämmer (Germany) as President, Professor Marina Bulatova (Ukraine) as Vice-president, Dr Lozan Mitev (Bulgaria) as Vice-President, Marion Lacroix (France) as Secretary General, Αleš Šolar (Slovenia) as Treasurer, Assistant Professor Saša Ceraj (Croatia) and Dr Ivans Klementjevs (Latvia) as members. The International Olympic Academy and its President Isidoros Kouvelos wish the new Executive Board every success in their work and look forward to a direct and fruitful cooperation in the future.